Mohsin Bajawa is the Operations Director at PeopleFirst HR Consultancy and has over 8 years’ experience in the field of compensation & benefits. He has robust knowledge and experience in this field covering the MENA region, including but not limited to the GCC, Mashreq and Maghreb geographical regions. 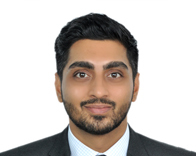 Prior to joining PeopleFirst, Mohsin gained his HR experience through working in multinational and diverse teams at Unilever and Schlumberger where he implemented global best practices and standards across the MENA region. Mohsin is a performance driven individual with a keen focus on accountability and responsibility. His analytical and growth mindset makes him creative in his approach to solving problems. He has excellent project management skills, change management experience and in-depth knowledge of international and expatriate assignment packages and global mobility principles. His core strengths include salary and benefits benchmarking, cost modelling and performance based reward initiatives, in addition he is proficient in Hay & Mercer Job Evaluation, Job Matching methodologies and software’s such as SAP, PeopleSoft and Workday HR Management Systems. Mohsin holds a first class honors degree in Business Studies Management from Middlesex University, London. © 2019 People First. All rights reserved.